We are the Philosophers, a group of 3rd year Engineering Students at Taylors University and we have a dream. 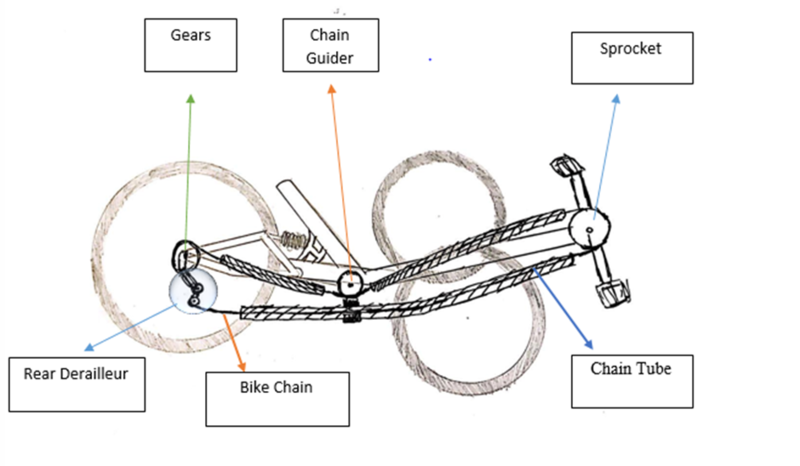 A dream of building a Human Powered Vehicle that we truly desire, one that does not have a budget restriction on building it. And we need your help, we you're your additional funding to create our masterpiece. This HPV will mean more than just University coursework requirement as part of its Capstone Project, it would be our crowning achievement. For the past 5 to 6 months, we have designed, tested and redesigned the HPV for safety and performance on the drawing board and the next step is to build it. We have calculated that the amount of money required beyond a basic HPV to be RM1000, this will allow us to source better materials to be used in our HPV currently such as disc brakes, multi-speed crank set and freewheel and of course, a fairing made of good quality, durable material. So, we need your help to create a better HPV that our team can be proud of. This HPV will never make it to market and in all likelihood, it never will but we hope that you, you will help us create something beyond just a University assignment, instead something we can be proud of. In today's world, the necessity of having a sustainable and green environment has become a major issue. Thus, with that in mind, our team initiated the idea on creating a zero-carbon emission Human Powered Vehicle (HPV) to solve this challenge. Currently, we possess a solid HPV design that has passed all prioritized engineering analysis and soon, would also be moving towards the manufacturing stage. However, we require a certain amount of fund to build a quality working model of the HPV. One of the unique characteristics of our HPV is that it is designed to be portable and foldable. Hence, it can be kept easily in car bonnets which would then ease users who prefer cross country cycling or hiking. For this design to work, our HPV parts / components are created through precise manufacturing processes, such as CNC milling, 3D-printing and welding. Lastly, risk analysis / evaluation was carried out to enhance the safety elements of our HPV. A fairing would be attached onto the HPV to act as a protection for the driver and to provide a more aerodynamic design, as per the requirements of our Engineering Project. With that in mind, we started work on the design and the first iteration came out like this. 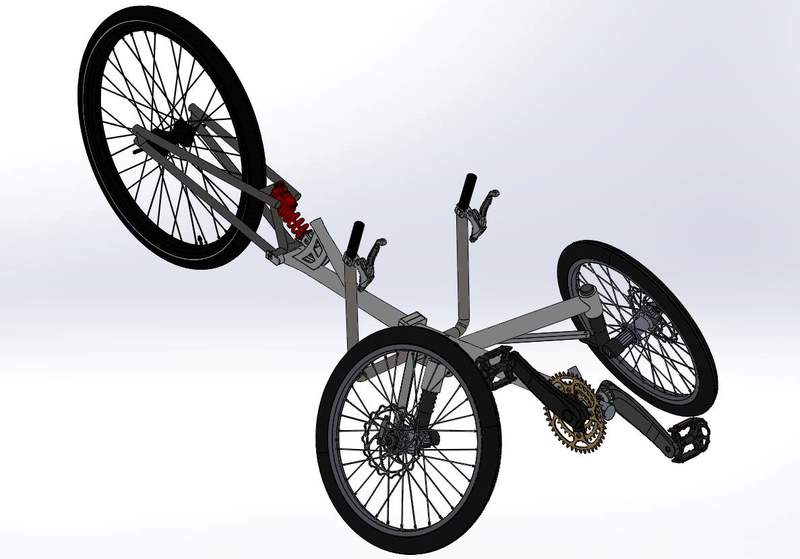 We think it's a pretty unique design, it is an inverted tricycle design whereas there are two front wheels and one rear wheel. 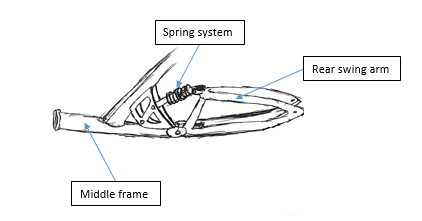 We also focused on safety, putting features such as designing the front wheel to be exactly three degrees negative camber, where the wheel surface in contact with the road is pointing outwards for stability by increasing the surface area of the HPV and lowering Centre of Gravity, which has an advantage of dropping the chance of a rollover since the design is inherently wide and low. We also paid special attention to our suspension, with the front arm having one arm and a link at the bottom with a spring attached to the arm. It is similar to what commercially available HPVs uses, and for good reason. It's cheap, easier to understand and to manufacture, which helps us greatly cut down development time and future problems when it comes to maintenance and technology. 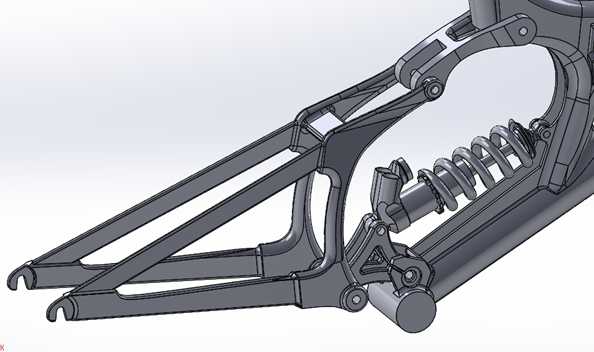 The rear suspension is pretty conventional, utilizing a rear swing arm with a spring system. We chose this for its proven reliability and for its ability to absorb any vibrations that causes discomfort to the rider and to lower the stress on the frame as the force will need to be dissipated, not absorbed into the frame. The frame consists of a large steel tube that forms the backbone of the entire HPV. 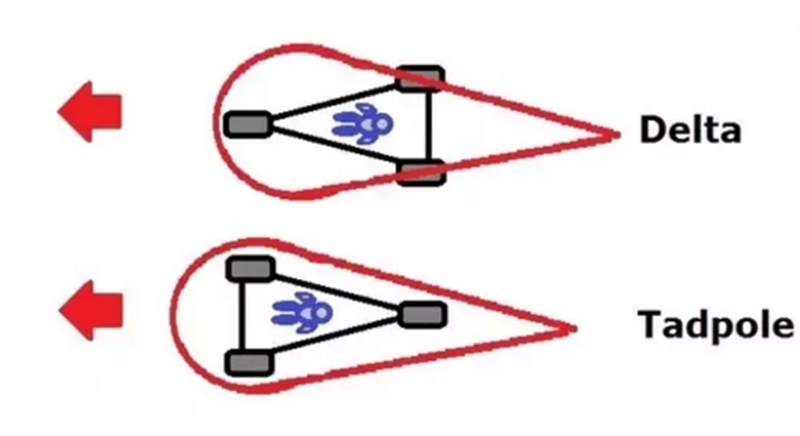 For propulsion we intend to use a multi-speed crank set for increased control of the amount of power transmitted to the ground. 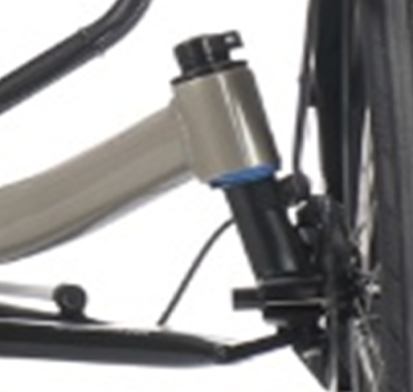 Steering is handled by a conventional design commonly used by commercial HPVs with the brakes supplied by a disc brake system for optimum braking performance. But of all the subsystems, it is the Fairing that we are most proud of. 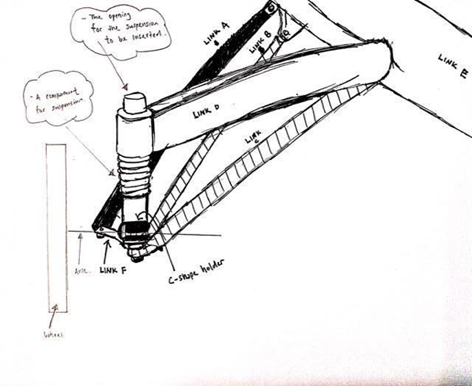 Design in an aerofoil shape, it will cover the entire frame and the intent is to reduce the drag that acts on the HPV and to shield the rider completely from the elements effectively rather than most commercial HPV where protection is limited at best. We intend to use Carbon Fibre for the main body for its strength and rigidity with Polycarbonate as the windscreen material for a clear view out. The use of Carbon fibre will allow us to increase the windscreen surface area, decrease the amount of blind spot as less body is needed to obtain the targeted strength. 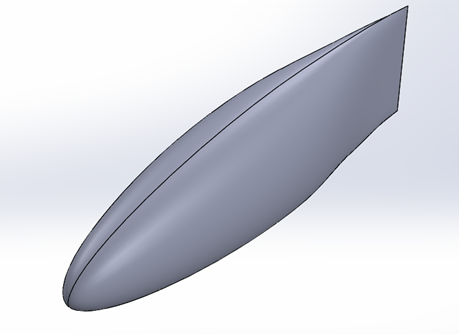 In this case we are using a Tadpole style design fitting with the shape of the fairing being shaped like a Teardrop for a slick and aerodynamic design. The general shape of the Fairing planned to be used. It is an aerodynamic shape that decreases drag coefficient that acts on the HPV with a transparent polycarbonate windscreen to let you look out better. What this means? Less effort for you to propel the vehicle while being able to move faster. And you look cooler. Safety testing is an integral part of our design which is important for the success of the product. We used ANSYS Workbench software which allows us to test the safety level of our HPV and determine whether the safety level of our product has fulfilled the minimum requirement of the safety standardization. After several tests have been ran, we found out that our product should can support whatever we expect will be loaded on it. We won't bore you and we will get straight to the point. What you see above is the HPV's spine or the frame and all those colours you see represent the amount of force that acts on the HPV. We assumed a load of 70-80kg, to simulate the weight of our target rider. The red shaded area means a high amount of stress acting on that part with the blue indicated lesser stress. So, looking at it, we can tell that the stress acting even at the highest points will not affect the HPV since the material we have chosen is able to handle. If we are successful in our funding for our project, we are offering 3 levels of gifts. The first level is when you donate RM1 and above, for this you get our utmost gratitude and thanks, and a thank-you email. The second level is when you donate RM10 and above, you will get a custom postcard with all our signatures, thanking you for your contributions. The best comes at RM50 and above, for that we will send you a custom-made 3D-printed replica of our HPV to remember our thanks and gratitude for making our hopes come true.